Ahhhhh! The lake life! Fabulous south facing location on Little Long Lake with 100 feet of shoreline with seawall and sandy beach for summer fun. Limestone ranch with open concept idea for the family and entertaining. Large rooms with lake views to enjoy throughout the year. Expansive living room with fireplace adjoining what could be used as a dining room or family room that also connects to the lakeside 4 season room surrounded by windows. Come see this one owner, 3 bed/2 bath jewel soon! Directions:St. Rd. 3 north of US 6 to North Shore Drive, Follow to property. 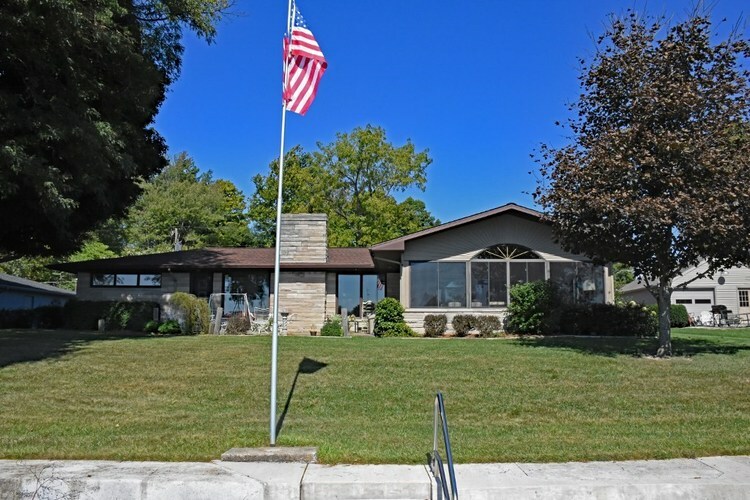 Listing provided courtesy of RE/MAX Results - Kendallville office.